In the 50 years since the death of Ernesto ‘Che’ Guevara at the hands of CIA-trained Bolivian forces, his image has become synonymous with leftist struggles, the most iconic of which was designed by Irish artist Jim Fitzpatrick. The ‘Viva Che’ poster has adorned many a college student's dorm room, and his likeness has been used to sell everything from t-shirts to cigarettes - not that Fitzpatrick is too happy with that particular iteration. RT.com met with the activist-artist, and his two cats Elroy and Leroy, at his beachfront home studio in Dublin to discuss Che - the man, the poster, and a fateful meeting in 1961. In addition to ‘Viva Che,’ the artist has designed album covers for some of Ireland’s most famous musicians, including Sinead O’Connor and pioneering rock band Thin Lizzy, whose frontman Phil Lynott was a personal friend of Fitzpatrick’s. His artwork is also inspired by Palestinian hunger strikers, Celtic mythology and Irish historical figures. 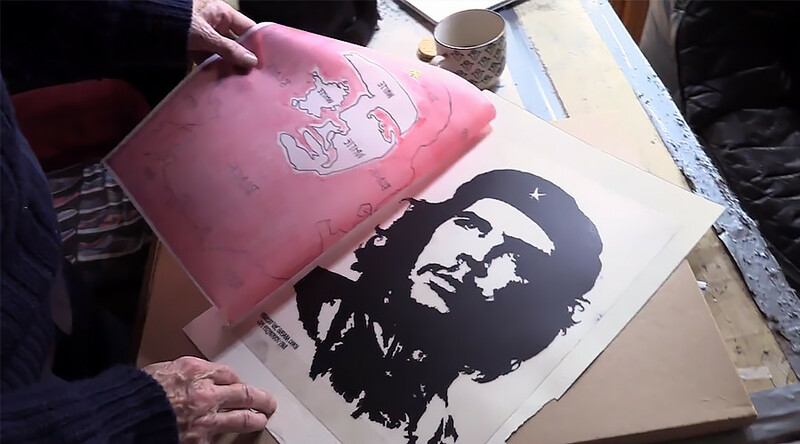 Fitzpatrick’s iconic poster is being commemorated by the Irish postal service to celebrate Che’s connection to Ireland, as evidenced by his father's name Ernesto Guevara Lynch. A quote from Che’s father, “in my son’s veins flowed the blood of Irish rebels,” features on the envelope to accompany the stamp. Though not everyone is happy to have the iconic Che image arriving in their letter box.